Law was educated at Emmanuel College, Cambridge, and was elected a fellow in 1711, the year of his ordination. He declined to take the oath of loyalty to King George I, in 1714, and was deprived of his fellowship. He became the tutor of Edward Gibbon, father of the famous historian. Later he returned to his birthplace of King's Cliffe where he lived the rest of his life, though he was known throughout England for his speaking and writing. Law's most influential work is A Serious Call to a Devout and Holy Life, written in 1728. In this book, he extols the virtue of living a life totally devoted to the glory of God. 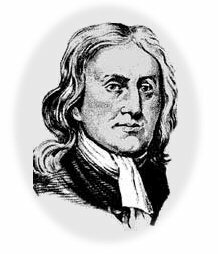 Although he is considered a high-churchman, his writing influenced many evangelicals, including George Whitefield, John and Charles Wesley, Henry Venn, Thomas Scott, Henry Martyn, and others such as Samuel Johnson. In addition to his writing, Law spent the final years of his life founding schools and almshouses, and in other practical ministries.